Winter is here and if you need to stock up on clothes for cooler weather, Justice is having great sale with 50% off of everything and free shipping, today only, December 10th, until Midnight, EST. 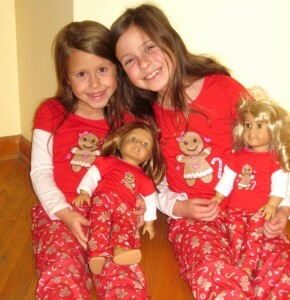 This is one of the biggest discounts they offer and what a great time to stock up on so many really cool clothes for tweens like these cute floral outfits or cozy jackets. If sizes are picked over at your local store, you can take advantage of Justice’s free shipping. To receive the 50% off plus free shipping, no minimum use coupon code 808 to receive these discounts in your cart at Justice.com. Loft is offering a 50% off Loft Coupon code today only (12-10-14). This Loft coupon code works for everything online!!! Plus you get FREE shipping with no minimum purchase! You will need to enter the code WRAPIT at checkout. The 50% coupon code works on full priced and sale items. There are some serious bargains if you look in the sale section. Some of the pieces from our Loft Mix and Match Fashion Boards are still available too and a super price with sale and 50% off coupon code! There is a Friends and Family Macy’s coupon code for 25% off almost everything. Use promo code FRIEND at checkout. This coupon code is good until 12/8/14. This is a great time to pick up any North Face items that might be on your list. I am always asked how to save on North Face items and this is one great way. It is very difficult to get 25% off high end brands. You can also save on Coach, Frye and more! You can save over $100 on some Frye boots! Both my girls love have The North Face Kids Jackets and love them. They each have the The North Face Girls’ Reversible Mossbud Jacket. It is reversible and features quilted taffeta on one side and cozy, fleece on the other. It is perfect for our Michigan winters. This coat retails for $110.00 but with the coupon code it takes $27.50 off the price. There are tons of coats for men, women, and kids plus accessories like hats and gloves. A 25% off coupon code is an amazing discount on current North Face items. Macys.com carries over 246 North Face items. The 25% off is also good on sale items so you might want to search around a bit to see if you can find any bargains. You will need to enter promo code FRIEND at checkout for the 25% off discount coupon. There is also FREE Shipping on orders over $99! Plus, you may be able to choose FREE Store pick-up at your nearest Macy’s. Save an extra 25% with the Macy’s Friends and Family Coupon! Tea Collection is having a nice Black Friday Sale. You can get dresses and boys pants for just $15 each!! Plus tops and leggings for just $12!!! This is a great way to pick up this great clothes at a super bargain price. At this price, things will not last long so be sure to shop soon! 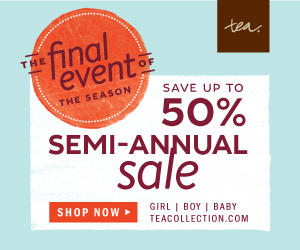 Click here to Check out Tea Collection Today! There is a Toms Sale today at Zulily with Toms for adults and kids at great prices. Items will going fast once the sale is live at 9:00 am EST. If you spend more than $65 you will automatically get Zulily Free shipping. Next Direct is having an amazing sale with 50% off their entire website! Next Direct has well priced unique kids clothing so with the 50% off pieces are a bargains! The quality is very good as well. My girls love Next Direct. Here are some pictures of Next Direct clothing we bought a few years ago. The adorable dress pictured above is just $12!!! The prices are already listed at 50% off of the regular price and there is no Next Direct coupon code needed. There are lots of great summer items but also lots of items that would work well for fall too. There are long sleeve shirts, hoodies, super cute gilets (vests if you don’t speak UK English), jeans and more! This is an excellent way to save on back to school clothing or stock up for summer. There is also lots of cute sheet sets in and kitchen goods in the homeware section on the site. There is FREE express shipping on orders of $40 or more. Exciting news! Today and tomorrow only (7/11 – 7/12) Target is offering Buy 1 get 1 at 50% off on all clothing shoes and accessories for women, men and kids. That makes our Mix and Match outfits from Target a crazy good deal. If you were thing of buying any of these you will want to do it before the sale ends. This would also be a great time to start back to school clothing shopping for the kids. Uniforms are also included in this sale. Check out the Target BOGO sale here. Here are the links to our Target fashion boards and just a few of the outfit combinations. Grab a few today for easy dressing at bargain prices! There is now a mini Boden FREE shipping coupon code and Boden free shipping coupon code that works on End of Season sale items that are now marked now up to 60% off!!! This makes the deals much better since you do not have to pay $10 for shipping! Check out if any of your favorites have been marked down more. This free shipping offer just started so there is still quite a bit available. As items start to get a bit picked over, remember you can shop just for your sizes in the left hand menu under my sizes. Just click on the size you need and it will show what is still available. Shop Boden Sale with FREE shipping today! The Tea Collection Memorial Day Sale just started at 8:00 EST tonight and there are crazy good deals!!! Adventure-ready boys’ pants and shorts start at $15! With these prices items are sure to sell out quickly, so be sure to shop ASAP if interested. Shop Tea Collection Memorial Day Sale Today! There is FREE Shipping with no Minimum at Under Armour through 5/26. This even works on outlet items that are up to to 50% off! I know that Under Armour is hot that is why a Under Armour free shipping with no minimum offer is great. There are some of the cute Under Armour mini headband packs included in the outlet. They come in several color sets. Plus lots of hoodies, shorts and more for boys, girls and adults! Target Swimwear on Sale – Prices Start at $6.40! I love their selection of one-piece women’s suits! They have several with a great vintage-inspired style that is really popular right now. Many of the suits are available for FREE in-store pick up. You just order online and the suit is waiting for you at guest services. I did this recently and it was such a time saver! Also, if you use your Target RedCard you can get an additional 5% off and free shipping! Head over here to check it out.